Nieuwe frequentie voor Libya Al Ahrar: 10872.62MHz, pol.V (DVB-S SR:27500 FEC:5/6 SID:8002 PID:1602/2602 Arabic- FTA). Libya Al Ahrar is back on 12341.00MHz, pol.H SR:27500 FEC:3/4 SID:3803 after a break ( PID:3001[MPEG-4]/3002 English - FTA). Libya Al Ahrar (Qatar) is in DVB-S van start gegaan op 12360.00MHz, pol.V SR:27500 FEC:3/4 SID:14 PID:3001[MPEG-4]/3002 English - FTA. Libya Al Ahrar (Qatar) is in DVB-S van start gegaan op 11096.00MHz, pol.H SR:27500 FEC:5/6 SID:4 PID:772/1028 Arabic - FTA. Libya Al Ahrar in DVB-S op 11096.00MHz, pol.H SR:27500 FEC:5/6 SID:4 PID:772/1028 Arabic (FTA). Libya Al Ahrar (Qatar) is in DVB-S van start gegaan op 12380.00MHz, pol.H SR:27500 FEC:3/4 SID:3803 PID:3001/3002 - FTA. 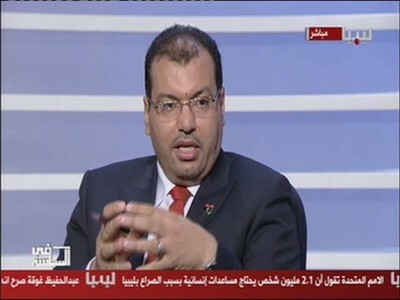 Nieuwe frequentie voor Libya Al Ahrar: 12092.00MHz, pol.V (DVB-S SR:27500 FEC:3/4 SID:28 PID:128/228 Arabic- FTA). Nieuwe frequentie voor Libya Al Ahrar: 12437.00MHz, pol.V (DVB-S SR:27500 FEC:3/4 SID:3803 PID:3001/3002 Arabic- FTA). Libya Al Ahrar (Qatar) is in DVB-S van start gegaan op 11862.00MHz, pol.V SR:27500 FEC:3/4 SID:26 PID:38/36 Arabic - FTA. Libya Al Ahrar switched to Eutelsat 7 West A satellite at 10815.08MHz, pol.H (DVB-S , 10815.08MHz, pol.H SR:27500 FEC:3/4 PID:259/515 Arabic). Libya Al Ahrar switched to Eutelsat 7 West A satellite at 10992.00MHz, pol.V (DVB-S , 10992.00MHz, pol.V SR:27500 FEC:3/4 PID:259/515 Arabic). Libya Al Ahrar (Qatar) is in DVB-S van start gegaan op 10992.00MHz, pol.V SR:27500 FEC:3/4 SID:3 PID:259/515 Arabic - FTA. Libya Al Ahrar (Qatar) is in DVB-S van start gegaan op 12732.00MHz, pol.H SR:2893 FEC:3/4 SID:1 PID:308/256 Arabic - FTA. Libya Al Ahrar (Qatar) is in DVB-S van start gegaan op 12380.00MHz, pol.V SR:27500 FEC:3/4 SID:3005 PID:3025/3035 Arabic - FTA.